In this issue, you will read about a determined cosmetology student who turned a dream into reality through the Center, a devoted music teacher who had an idea to foster music learning for the young teens who play at the Center’s Mass every Sunday, a new volunteer who is inspired by the Center and the community it serves, energetic students and staff at the Center who worked hard on a successful fundraiser, and the forward-looking staff at the Center sharing their goals and dreams for 2018. The connection to all of these is the Center. Each story is different yet very much the same. 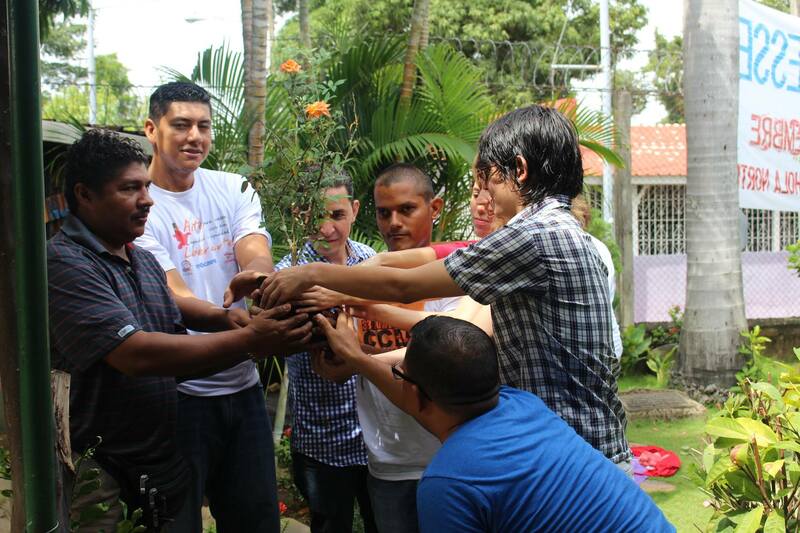 Each individual has been helped, lifted up, or inspired by their connection to the Center, through the great, life-changing work it does educating and empowering all. One final thought and a challenge for 2018…without your generous support our work and the work of the Center can’t continue, so please consider a donation, understanding that no gift is too small, and your generosity is greatly appreciated. What else can you do? We need to grow the number of people who know about and support the Center. Share this newsletter, visit our web site, like us on Facebook, share our Facebook posts, and tell your friends about us. Thank you, and here’s to a great 2018 working together! “We will bring about Art and Culture’s New Dawn.” —Claudia Mercado and Mora Garcia, Manager and Coordinator of the Arts and Culture department, respectively. 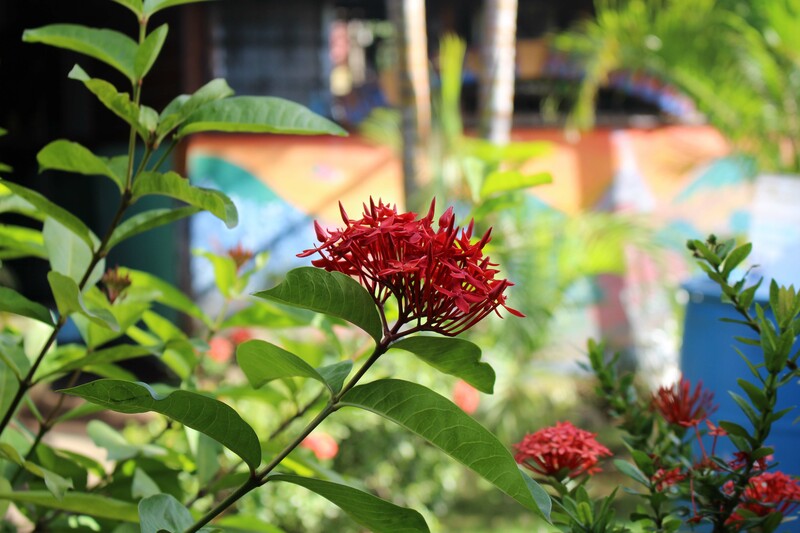 Thank you Friends of Batahola for helping to make so many of our dreams at the Center come true. Your support keeps us optimistic and looking ahead to a brighter future! Claudia Mercado (front row, far left) and Mora Garcia (back row, second left) are working to take the Art and Culture program at the Center to even greater heights in 2018. Daysi Álvarez, Salom Rueda, Daisy Osorio, and Maria Antonia Centeno, teachers at the Center, encourage prospective students to register for 2018 classes. 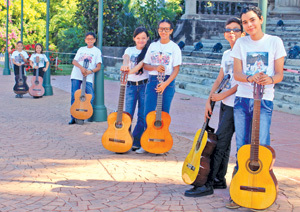 The guitar and marimba group visit the National Plaza, after participating in a guitar workshop at the National Palace in Managua. This is a beautiful story on so many levels, as it truly reflects the spirit of dedication and selflessness that is so alive at the Center. It’s about a devoted music teacher who offers extra classes to young teens at no cost. 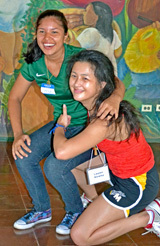 And, it’s about faith-filled young teens who are on the Mass team at the Center. In return for their dedication, they receive even more than they give. And all of it circles back to Fr. Ángel, one of the Center’s co-founders, now deceased. The story begins with music teacher Nineth Larios. “I came to the Center when I was seven. By the time I was 10, I already knew how to play five instruments,” Nineth said, recalling her early days at the Center and Father Ángel's generosity with his knowledge as her music teacher. 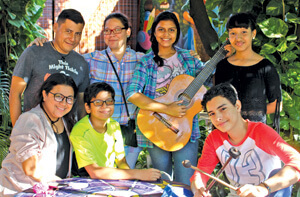 Last year, seeing former students whose dedication and excitement about music reminded her of her young self, she decided to replicate Father Ángel’s spirit for them. 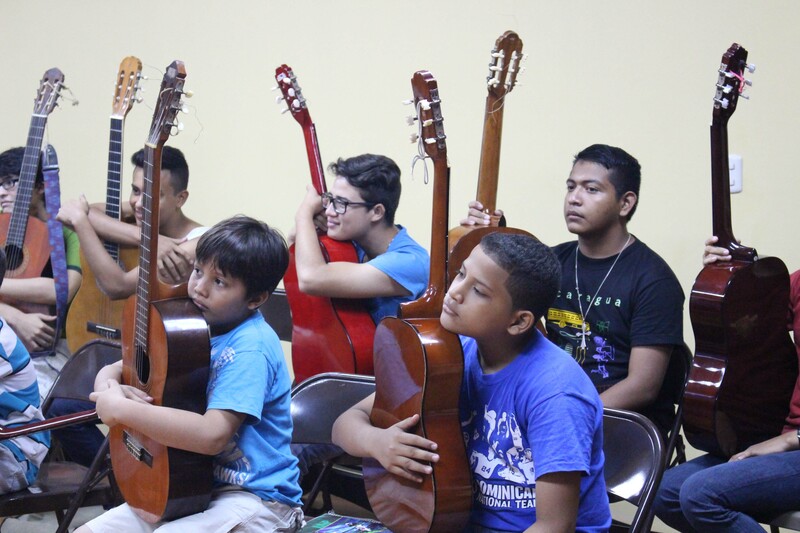 Nineth gathered together the young adolescents last February and began a guitar and marimba group, offering extra classes free of cost. 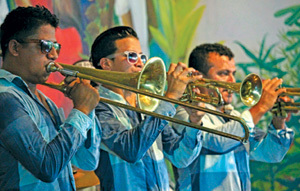 A year later, they now not only play at all of the Masses, but at cultural events all around Managua. Each student can play at least two instruments with the goal to learn five. The goal is both individual and collective: If one student knows more than another, he or she teaches the student that needs help. “For me, the more instruments a child learns, the better. They have so much energy, and I’d much prefer that they invest that energy here, safely, at the Center,” Nineth said. You can watch the group’s performances on YouTube. Nineth Larios and the student guitar and marimba group. 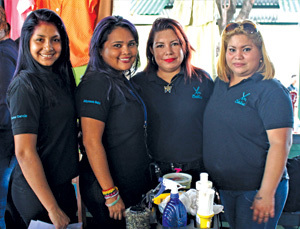 Fatima (far right) and her peers participate at the Center’s vocational fair. 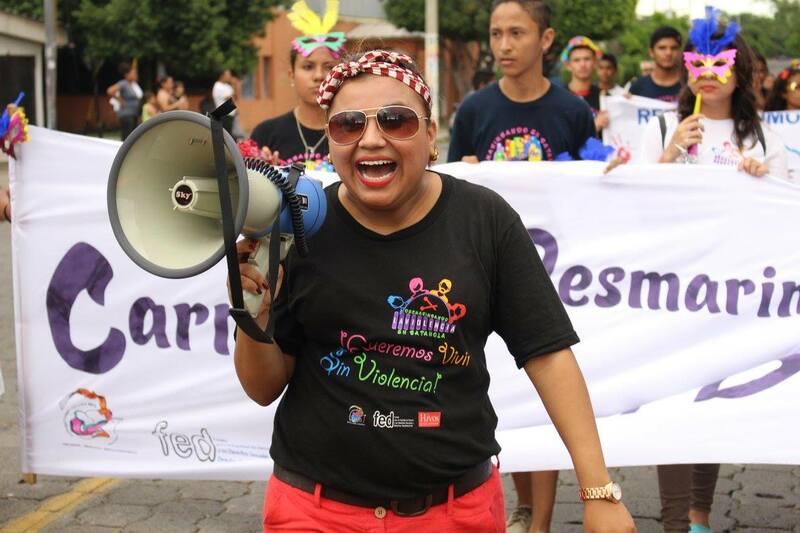 When anyone in the Batahola Norte neighborhood needs a haircut or color, they know who to call: Fatima! Fatima’s home business began with a dream that started at the Center. She didn’t have many options available to her, having only finished elementary school. But when a friend who was studying basic adult education at the Center told her about its programs, Fatima decided to investigate. After being approved for a scholarship, Fatima enrolled in a cosmetology class. She wanted a skill that would lead to a job where she could be her own boss, have a flexible schedule so she could care for her son, and earn an income. The class schedule was perfect. She could drop off her son at the school next door to the Center, attend class, and finish on time to pick him up. The New Dawn dance group strikes a pose after finishing its performance at the fundraiser. 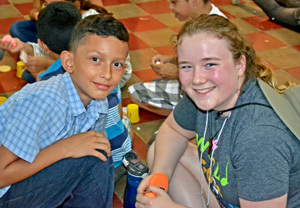 The entire Center came together recently to put on its annual Kermes Fair fundraiser, netting an impressive $1,650! 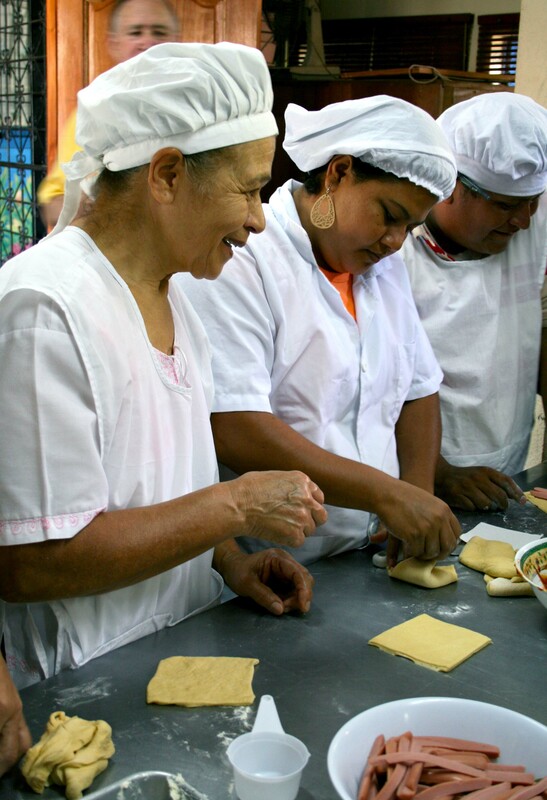 Many of the Center’s cooking students worked hard to prepare 17 delicious dishes and drinks. The cosmetology students used their skills to straighten, cut, and curl hair. The natural medicine students gave massages and sold homemade oils, creams, and incense. 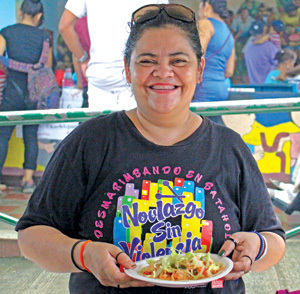 This year, the fair also included music and a danceathon organized by the Center’s dance instructor, Karla Zamora, who led participants in the Zumba, Salsa and other fun dances. An estimated 1,600 people attended the fundraiser. Proceeds will be used to fund projects for students at the Center. Beloved music teacher, Nineth Larios, serves up tacos with a smile during the fundraiser. Young dance students perform Son de Toro with pride at the fundraiser. A local band donated its talent to help raise money. Hello! 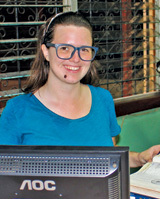 My name is Teresa Fuller, and I will be volunteering at the Center for a year. I’m with the Mennonite Central Committee SALT program, an organization that sends young people around the world for a year of service and learning. I’m from Vancouver, Canada, and was recently graduated from college with a BA in Justice Studies. I started my work at the Center volunteering in the library, helping children with reading and playing educational games. I’m so thankful for the opportunity to get to know this amazing Center! Being here makes me feel hopeful for the surrounding community and for the difference the staff is making in the lives of everyone who comes in contact with the Center. If you’d like to contribute to the ongoing mission of the Center, please make a donation today by clicking on the Donate Now button above. Our students need your support. Thank you! 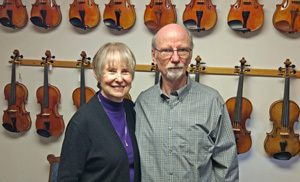 James Johnson and Judy Doyle are business partners at Strings ‘n Things in Cincinnati, Ohio. 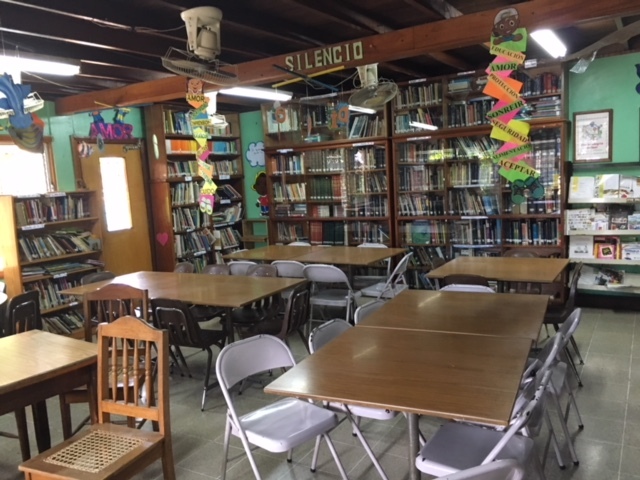 In the late 1990’s, Sr. Margie Navarro, co-founder of the Center, was back in the States and came into their store looking for guitar strings for the students’ instruments at the Center. Sr. Margie’s brother was James’s and Judy’s landlord! James and Judy were new business owners back then, but they accommodated Sr. Margie's request. That transaction began their relationship with the Center, one that continues to this day. Since then, Strings ‘n Things has donated instrument cases, bows, strings, bridges, music books, and badly needed instrument parts of all kinds for the maintenance and repair of students’ instruments. They have also repaired donated broken instruments so that Friends of Batahola could take them to the Center in good shape and ready for the students to play. James and Judy are passionate about music and believe strongly in the value of music education, so they are delighted to donate their time, talent, and treasure to the Center’s music arts program. Thank you James and Judy for being such a long-time and important “Friend” to the Center’s music program. 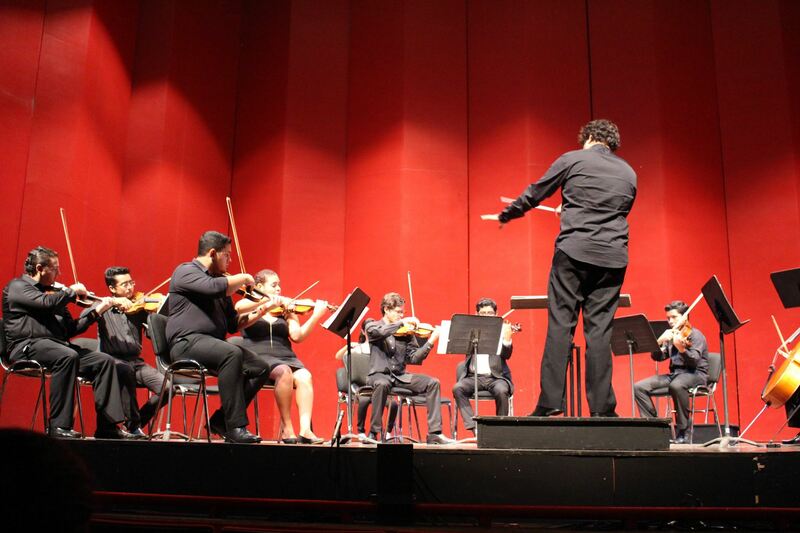 We admire your passion for music education and sharing that passion with our students! Six Friends of Batahola volunteers who reunited to celebrate Amanda Otero’s wedding: Christine Ruppert, Laura Hopps, Amanda Otero (the bride), Greta Tom, Sam Estes, and Andrea Kraybill. 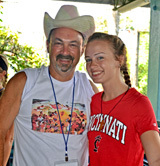 Beginning in 2007, the Friends of Batahola were blessed with volunteers to the Center from various missionary groups. 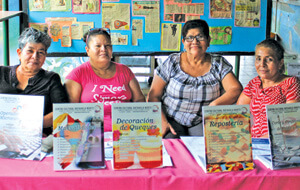 It is hard to overstate the value of their work in furthering the mission of the Cultural Center of Batahola Norte. We are truly and forever grateful for the service and dedication of these intelligent, impressive, and inspiring young women, and gentleman, who each took time to serve others far away from home in another country and culture, including Christine Ruppert, Laura Hopps, Amanda Otero, Greta Tom, Sam Estes, Andrea Kraybill, Erka Coe, Kelsey Schrock, and Clare Morrison. 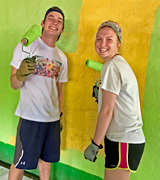 We are blessed to have two Friends of Batahola volunteers currently working at the Center: Kelsey Overley and Teresa Fuller. Welcome to the Friends of Batahola volunteer family! “…When I think about my trip, I think of two quotes. One is, “Life is not measured by your breaths but the moments that take your breath away,” because that is what this trip is: breathtaking. Another quote is, “Where there is death, there is love.” I picked this quote because even in a country of sorrow and death, there is so much love. The people I’ve met on this amazing journey have not only strengthened my love for Christ but also for myself. These children, adults, and teenagers love you before they even know you. Everyone gives everything they have here and expect absolutely nothing in return. My life has been changed because of this trip. The day before going to Nicaragua, I really didn’t want to go. There was only one other person going who wasn’t from McNick. I got off the second flight too exhausted to practice my four years of Spanish with customs, still not understanding why I signed up for the trip. I didn’t know why, but the Lord did. He set me up with new friends from both McNick and Nicaragua. He let me open up and enjoy an experience that is truly once in a lifetime. I can’t remember the last time I made friends so easily, but it happened here. I can’t remember the last time I felt so free and open-minded, but here I did. I honestly can’t remember the last time I cried, but here I really did. The big question in life is always, “What am I here on Earth to do? Why am I here?” That was my question in the beginning, and the Lord responded with a new answer every day. There wasn’t one thing that we did that didn’t have a sign, a message, something from Christ. I really didn’t want to go to Nicaragua the day before, but now I never want to leave. Sue Keefe starts off the initial meeting of our pre-Nicaragua trip with, “We are not building houses, we are building relationships.” Nothing could be closer to the truth than these words. 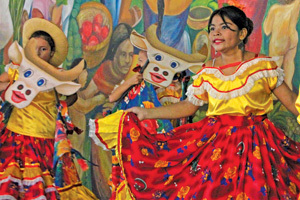 From Cultural Center to the Fabretto Center in Ocotal, and even walking down the streets of town, the beauty of the people and the warmth is unprecedented. In the spirit of these people, the face of Christ was witnessed time and time again. I go home from this beautiful country a person whose faith has grown and will be forever changed. The previous day, before going on this immersion trip, I anticipated that we would be warmly welcomed. I did not anticipate, however, how much of an understatement that would be. I can proudly say that Nicaragua quickly started to feel like a second home to me. It’s a place filled with warm, humble, and welcoming people. It’s a beautiful culture and country. I am myself 110% of the time I am here, because they allow and encourage me to be. The barriers of language and culture were definitely there, but they didn’t let that stop us from forming a true, genuine connection. I saw the face of Christ within each person I met every day. Nicaragua inspired me to stop every once and a while to look around at my surroundings. It’s all about the journey, not the destination, after all. The culture inspired me to never stop learning, especially Spanish. The people inspired me to completely open up my heart, to accept, welcome, and connect with people. Life is meant to be lived, not to hate, so why not learn to love everyone you meet? 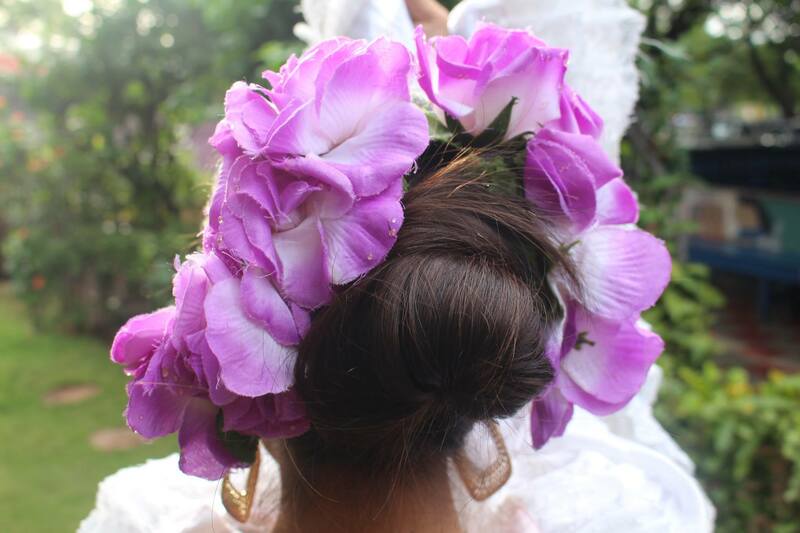 My heart is full of peace and love, because Nicaragua taught me how to love, welcome, and connect with everyone. I had never traveled internationally before, so this was entirely new to me. Before I left I was nervous, but the people of the Batahola Center quickly put me at ease with the warm welcome they gave us. 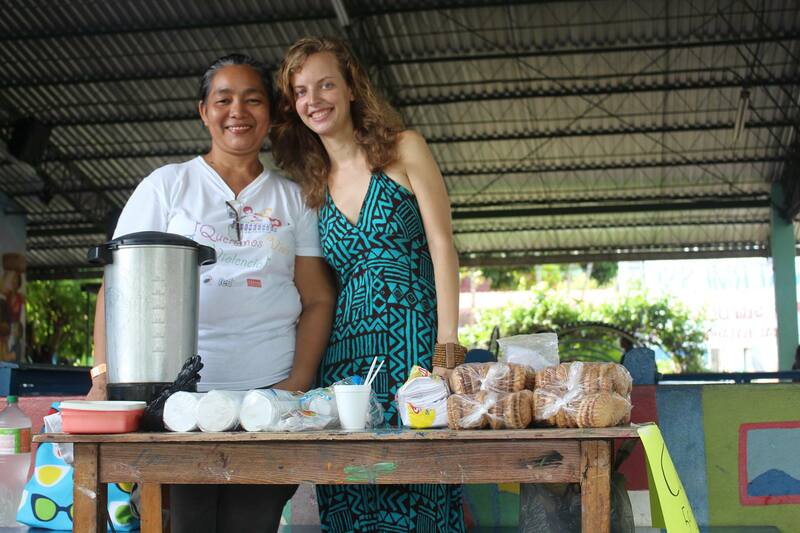 Throughout the trip I was constantly amazed at the hospitality and optimism of the Nicaraguan people. After this trip, I feel a connection with this wonderful country and its people. 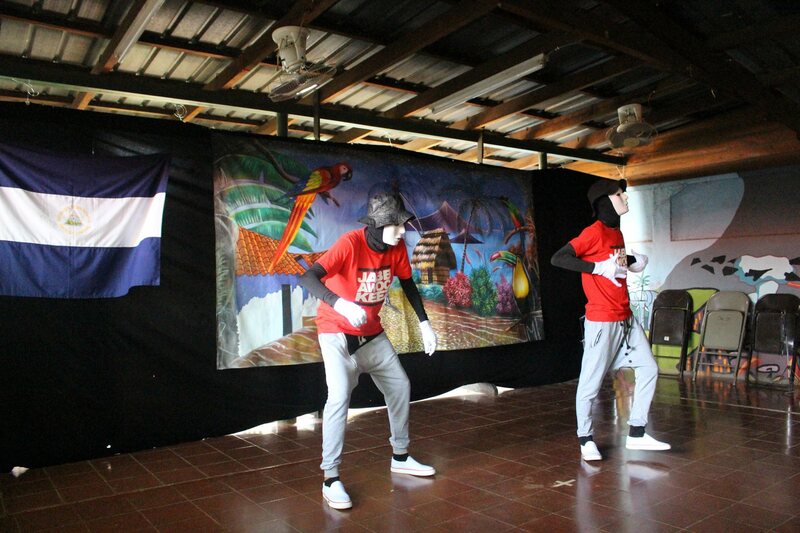 Nicaragua, I can already tell, will be and already is more than a fond memory. As I am writing this I have had little time to process what I have been experiencing. However, I already know I have learned so much about another culture, new people, my peers/travel mates, and myself. It is up to me and all those of this trip to bring home and share the part of our souls that have been changed. This gift given to our hearts from the Nicaraguans is not meant to be private but must be shared and cultivated in order to make a change. 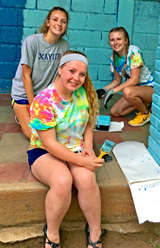 The Journey to Justice immersion trip was at times the most uplifting and humbling week I’ve experienced. The areas we visited, the city scape in Managua and the farmland countryside of Ocotal, leave me with a view of the land and people as one of “harsh beauty,” lush mountains, sweet fresh fruits, and homemade lunches prepared for us by strangers. This was offset by seeing economic, geopolitical, and generational induced poverty. One host family has a fancy home no bigger than 500–600 square feet, another family’s home has a broken down car in the room where they eat meals. The traveler’s lifeline is his water bottle for pure water and bug spray to fight the ever-present insects. Often it is said of the people around the world that have little: They are poor but happy. We spent a week in community with people that are poor and happy. They are happy because they are blessed with a multigenerational family that lives together, because they have a deep commitment to each other and to God, and because they feel the blessings of charity and help from twinning relationships. Nicaragua and this journey immersion trip is not for everyone. It is not a hotel vacation with a swimming pool and hot showers. It is a great opportunity for our own personal journeys. How can we be Jesus to others at home or abroad? How can one be the source of beauty to people living simple, sometimes stark, harsh lives? The reflection and courage to act on these questions is for everyone. We have different gifts and service; we are all one body in Christ. 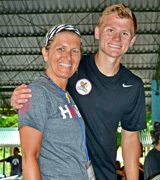 Overall, Nicaragua has been an experience of love and community that I have never seen in my life at home. 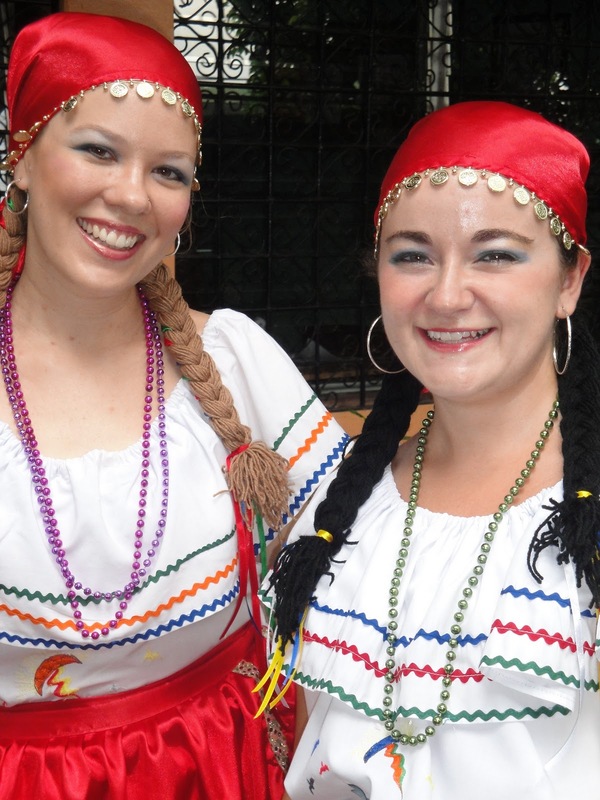 The people here are filled with love and the desire to make you feel welcomed and a part of their family. Everyone, from adults to children, was nothing but kind to me and the rest of the group. Not only were they loving, but they had a such a large amount of gratitude. One of the members in my lunch group gave our host Doña a toy car, and it meant the world to her. 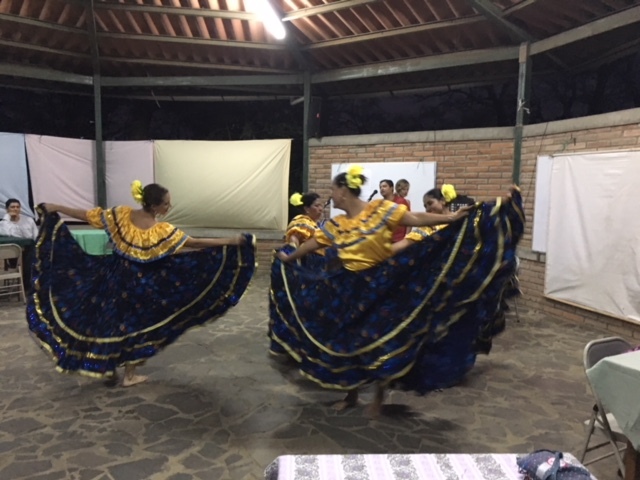 The Nicaragua immersion trip completely changes a person’s view on their life and the amazing things that life has to offer. Before going on this trip, I thought that the lesson I would get from it would be how thankful I should be for the things that I have. While this was one of the things that I learned, it is just a very small part of the whole message. What really spoke to me was how any person can connect to any other person no matter their race, religion, culture, or even their language. On this trip, we all made deep, personal connections to the people of this country, all in a matter of days. I also learned so many amazing values from the people here, such as joy. Many Nicaraguans have pretty harsh lives, but what I realized about the people here is that they don’t let it get them down. They laugh, they dance, they sing, they play, and they thank God every day for the things He’s given them. The way that they live life is something that all of us can learn from.